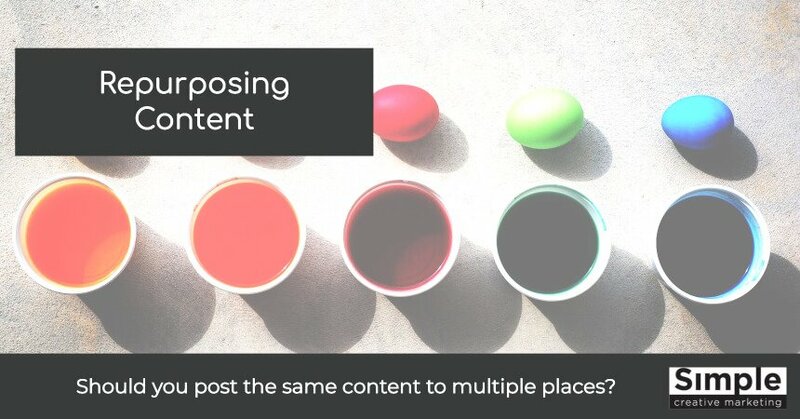 Repurposing content: Should you post the same content to multiple places? Is reposting content to different websites and social media channels a good idea? We recommend repurposing content instead. Congratulations! So you’ve published a value-packed podcast episode or an insightful thought piece on your blog that you know your target audience will benefit from. 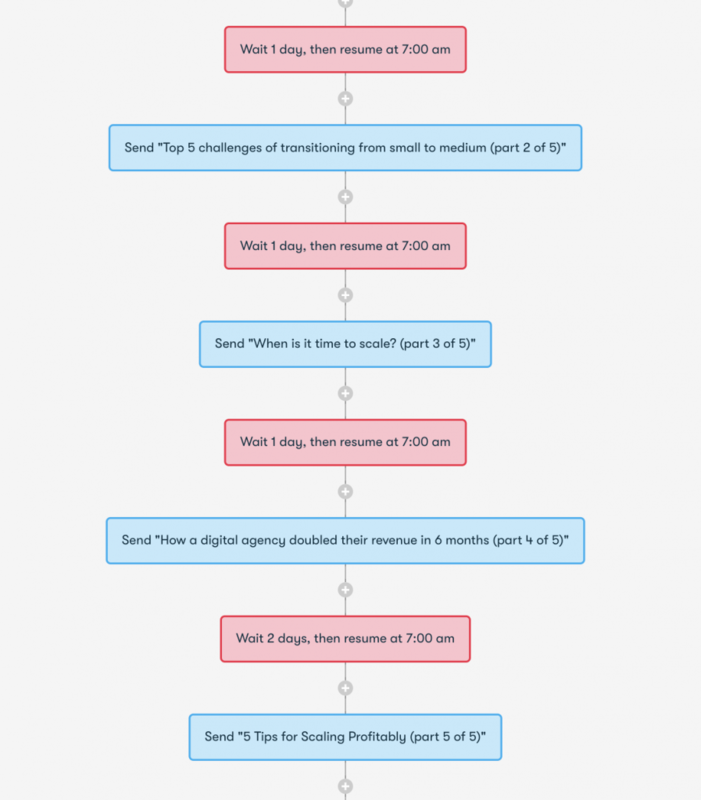 You pushed it out to your social media channels using a social media scheduling tool, and you might have even sent it out to your moderately sized list via your email newsletter. Your content was not as successful as you’d hoped it to be. This is a pretty common scenario, and we see business owners struggle with getting traction with their content all the time. If you publish, they will not automatically come. Well, either you’re lacking a content strategy or you haven’t answered two critical questions about your content marketing. There are a couple of things you’ll need to check to ensure that your content publishing activities are actually doing what you intend it to do. Let’s get into it, shall we? Short on time and want a PDF version of this post to print or read later? Click here. 1. Is your content actually as good as you think? 2. Are you promoting your content enough times, and in enough places? Prefer to save this and read it later? Grab the PDF version. Blog content is prolific and Worldometers tells us that (at time of print) there are over 3 million blog posts being published per day. The truth is, the majority of content being posted online is average – not engaging, not worth consuming and definitely not worth sharing around. You need to be creating 10X content! Incidentally, you’ll want your 10X content to be your pillar or cornerstone content. Think of four or five pages you would like someone to read if they first visit your website. These articles should be the cornerstones of your site. Which articles are most precious to you? Which articles are the most complete and authoritative? You should write cornerstone articles about the keywords you definitely want to rank for. While we’re on the topic, I highly recommend you read 10x Marketing Formula: Your Blueprint for Creating ‘Competition-Free Content’ That Stands Out and Gets Results. This will change the way you look at content marketing in general (You can download the first chapter free here). Now assuming that you’re creating high value i.e. 10X content, you can move onto the next question. This is an important question to answer because oftentimes we’ve seen business owners put a lot of emphasis on creating and publishing content, but not enough effort on promoting their best content. Considering all the time, money and effort it takes to create great content – wouldn’t it make sense that you invest a good deal of effort into getting that content in front of as many potential readers/listeners as possible? Yes, we sure think so! Is it enough to simply copy and paste the same blog post to different channels eg. Linkedin? Well that’s a start, because it means that you’re exposing your Linkedin followers to the content that they otherwise would be missing out on if they’re not actively visiting your site, following you on social, or subscribed to your newsletter. Adding to that, we recommend you repurpose your content to better leverage all the great work you’re doing to produce high quality content. Yes, yes it does. Here’s a data driven answer from Neil Patel. There are many factors to consider when ranking for a keyword with your content: page quality, competition, the age of the post, backlink profile, and others. Therefore, content quality is just one of the many factors that you have to meet so you can fully reap the benefits of your SEO efforts. What most marketers fail to realize is that SEO is not the only game in town! Since users share content across different platforms, it can also be re-made into something better and more interesting for your audience. With enough research and ingenuity, you can come up with new strategies that let you recreate your old posts into a different format to boost your online reach and remove yourself from depending too much on SEO. Alright, we’ve spoken about the benefits of repurposing content but how do you actually do it? Let’s look at how you can repurpose podcast and blog content. 1. Publish your podcast episode to iTunes. 2. Use repurpose.io to automatically turn the audio into video format and push the podcast to youtube and facebook. 5. If your target audience is on Linkedin, get your VA to put a summary of the blog post on to Linkedin as a Pulse article and link back to the original post on your website. 7. Implement a link building outreach process for the content, and reach out to websites that have high domain authority and a lot of site visitors each month on their website. Check out the guides by Moz and Backlinko on how to effectively do link building outreach. We know that many businesses struggle with implementing link building outreach internally as they might not have the resources or sufficient knowledge to do it. So we are currently considering the feasibility of offering a separate blog promotion service in the near future, and will be looking to pilot the service at a reduced price with a few businesses who might be interested. Contact us if you’d like to participate in the pilot. Now what if you’ve only got blog content? Don’t worry, we’ve got your back. Keep reading. You could break your epic 10X content into a multi-part email course/series that people can opt in to. Alternatively, if you’ve yet to create your 10X content, you could take a bunch of your best blog posts and turn those into an email course. That’s exactly what we did for a couple of our clients recently. Depending on your budget and time available, you could hire a graphic designer or agency to turn your text content into an easy to digest infographic, or you could DIY with any of the cool tools available. This content can then be shared to social platforms where people prefer visual content over text content eg. Instagram, Pinterest, Facebook, etc. Whilst many people like to read, there are just as many folks out there who prefer to learn by listening. So it’s a great idea to take your existing blog content and record some audio about it. This is exactly what we did with our recent blog post on the 5 Key challenges to making marketing work whilst maintaining profitability. I used a neat podcasting app called Anchor.fm to record a short audio version of the article, and automatically syndicate it to itunes, Google Play Music, and Pockstcasts. Note: Anchor.fm will only allow a max recording time of 5 minutes per episode, which is perfect for short and punchy podcast episodes (eliminates the waffle!). You could take the key ideas or concepts in your content and then created a presentation slide deck, and upload it to slideshare for easy distribution. Obviously this is going to require more work, but there’s nothing like the feeling of getting your content in front of an engaged audience – be it in person or online. Saving (possibly) the best for last… turn your content into video. 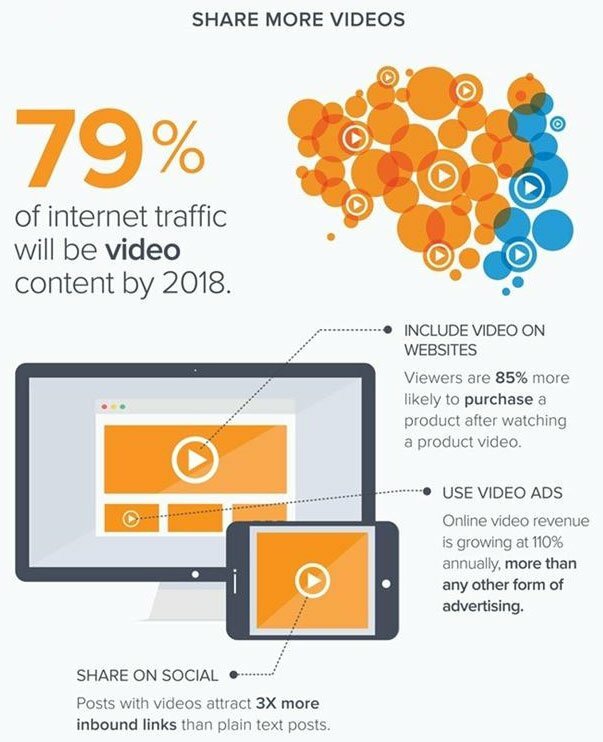 Did you know that 79% of Internet traffic will be video content by 2018? (source: marketing profs). So you’d be missing out big time if you’re not putting video into your content marketing mix. 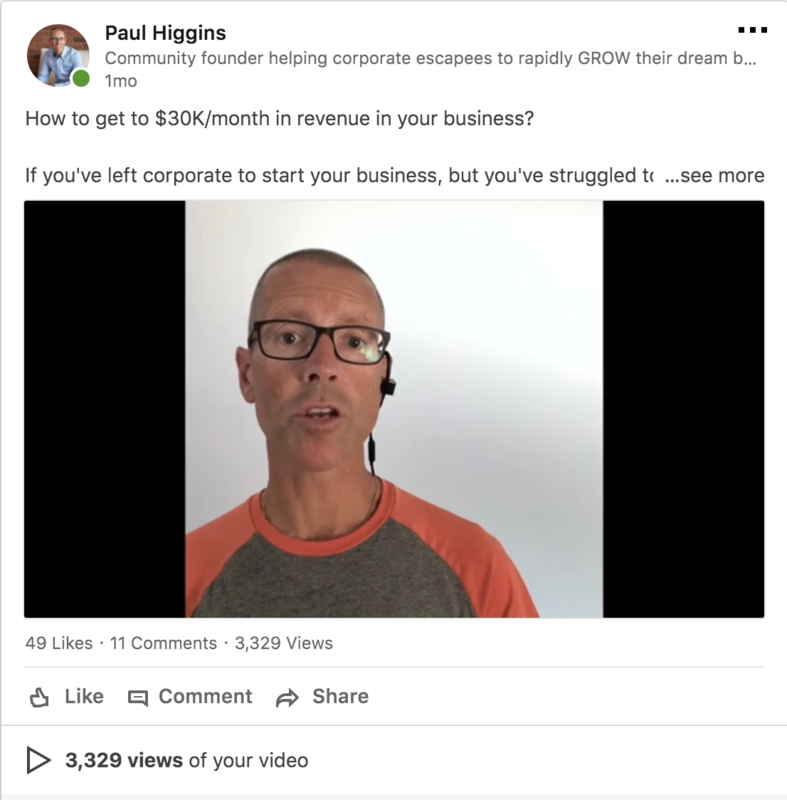 Here’s an example of how our client Paul Higgins of Build Live Give took his content and repurposed it as a short 3-minute video for Linkedin. As you can see from the screenshot below, the video got 3,229 views – which far exceeded the reach the original blog content got when it was shared to Linkedin via a social media scheduling tool. If you’re interested, you can watch Paul’s video here. You can use a tool like Loom to record simple “talking head” videos (like Paul’s above). Now what if you don’t want to do a talking head video like Paul did as you prefer to stay behind the camera? You can also use Loom to record “over the shoulder” instructional-type videos where your screen is being recorded whilst you walk your viewer through a tool or process. The above video was created using an awesome and easy-to-use tool called Rocketium (it’s a lot like the “Canva” for video, worth checking it out). Still want some more ways to repurpose blog content? Read this post on ProBlogger. By the way, don’t forget the importance of doing link building outreach for blog posts too (refer to step 7 above in the repurposing podcast content section). Want more help with your content strategy? Here are some cool resources published by a few of our peers that we’ve found helpful. Some companies just don’t have the time, money, and resources to continually create new content or come up with new content ideas all the time. Actually, they shouldn’t need to. In content marketing, a great idea that’s engaging and helps people is much more important than a specific content type, or where it’s published. It’s about taking that powerful idea and sharing it far and wide. So how do you solve the lack of resources problem, and at the same time get your great ideas in front of as many people as possible? Answer: Repurpose your existing content! Short on time, want to print, or prefer to read a PDF version of this post? No worries! Submit your details and we'll shoot you the PDF via email. You'll also receive our bi-weekly newsletter with growth marketing tips and interviews with inspiring entrepreneurs.